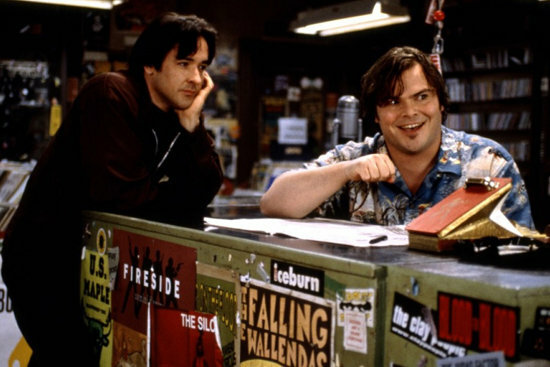 High Fidelity was in fact originally about boardgames. True story. Bruges. I usually hate Stefan Feld games because they are all recipes for getting victory points (he also put out Bora Bora this year, and that is a game where literally every single action, even passing, gives you points) and little else; they mostly seem like cynical exercises to stroke the addictions of Euro-gamers rather than actual attempts to craft a pleasing game. (If Stefan Feld made pizza, every pizza would have triple cheese and double pepperoni and ham and seven other toppings and it would be completely inedible.) But Bruges, despite being a Feld and therefore having a lot of ways to generate points, feels like a proper game to me – partially this is because of the crazy amount of card interactions within the game, partially it’s because actual effort was put into the design to make everything click just right. It’s true that there isn’t as much hand manipulation as I would like – basically you have to make the best of what you draw, most times, and a good engine in this game involves drawing as much as possible rather than hand-cycling – but that also makes the game simpler and quicker, and that’s not nothing. Spyrium. William Attia’s long-awaited follow-up to Caylus hits many of the same buttons that that earlier game does for me; it’s a rock-solid worker-placement with a lot of ways to screw over other players, but they’re all still worker actions. Worker placement, at its best, is an elegant game mechanic that forces players to gamble, adapt on the fly and even bluff, and Spyrium gives you all of that while also forcing each player to carefully manage their inflows of money so they can buy further assets. It’s a remarkably tight design but its random board allocations also allow for a great deal of play variability and replayability. It’s just good, at absolutely everything. Eight-Minute Empire. Realistically this game takes fifteen minutes to play rather than eight – you can only finish a game in eight minutes if everybody really tears through their turns – but it’s still a fast and surprisingly deep little continent-controlling game that actually does feel a little bit like Risk, if Risk were good rather than tedious. So much game in such a little box! Mascarade. Two smallbox bluffing games came out this year that were very good – this and Coup. The latter is fine, but I think it suffers a little from a deterministic end game – as you gradually eliminate character roles by eliminating players, Coup‘s endgame becomes a little of a fait accompli since it becomes much easier to figure out what your optimal play is. Mascarade doesn’t have this problem; it’s a bluffing game where it is entirely possible to not know your own power, let alone everybody else’s, and it requires a fair amount of mental dexterity to juggle your bluffs with other players’ knowledge. It’s a deftly designed little game with nice components (although I wish the art had been prettier; it’s very busy). Next five: Planet Steam, Euphoria, The Duke, The Great Heartland Hauling Company, Guildhall. Almost bought 8-minute Empire over Christmas… looks like I should have! Well it’s not too late. Can there be a special Jury Prize for the adorable components of Takenoko? Not 2013 and technically not a board game, but have you checked out Sentinels of the Multiverse? I’d be curious about your thoughts on it. Not Euro, but the most remarkable design for me in 2013 was The Guns of Gettysburg.